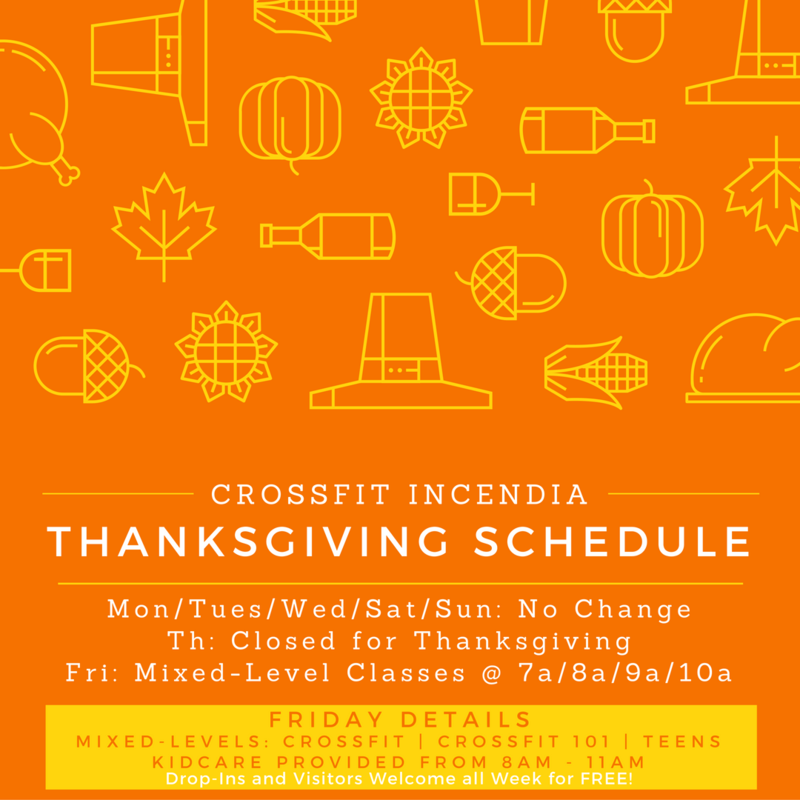 CrossFit Incendia will be CLOSED on Thursday, November 24, 2016 in observance of the Thanksgiving Holiday and we will offer Mixed-Level Classes on Friday, November 25th at 7am/8am/9am/10am. KidCare will be available on Friday from 8am to 11am. We will close at 11am on Friday and re-open for normal business hours at 7am on Saturday, November 26th. In town visiting family for the holidays and need to get in a workout? We welcome all visitors and drop-ins for FREE the week of November 21-27, 2016. There is no need to call ahead or make a reservation unless you need KidCare. 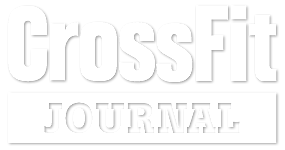 If you’re just dropping in to workout, please take a look and decide if the CrossFit or CrossFit 101 WOD suits you best. You just need to arrive to the class you select about 15 minutes early to sign waivers and receive a tour of the facility. Enjoy your Thanksgiving! There is so much to be thankful for this year and we are thankful for each and every one of YOU!